Mile Post Cafe, or Mile Post Bike and Cafe as it is sometimes known, is a small cafe and bike shop near Kayabacho. 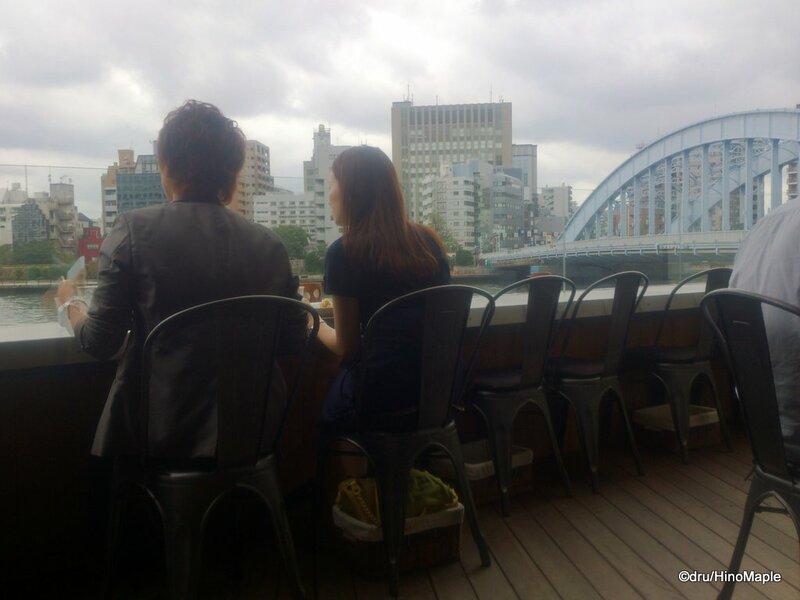 It is situated right on the Sumida River and the location couldn’t be nicer. Right next to a nice bridge and close enough to see the Shuto Expressway, it is a great place to relax and enjoy a pint and a nice meal too. Getting to the Mile Post Cafe is not so easy. It is right on the Sumida River, but between Kayabacho and Monzennakacho Stations. The best way there is to go from Kayabacho. If you head out Exit 4A, just walk straight until you get to the Sumida River and turn left. It is at the end of the street on your right. The shop isn’t very inviting at first but once you head up to the second floor, where the cafe is, you realize it isn’t a scary place. 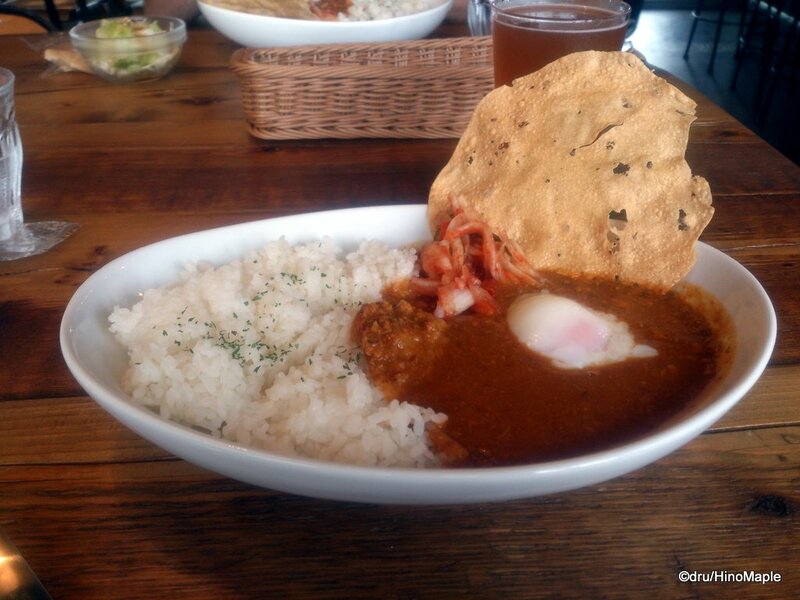 I believe the cafe is run by the same people who run Spice Diner, a curry shop in Akasaka. The reason I went to this cafe is because they have 10 different craft beers on tap. They change them from time to time and the cafe food for lunch is reasonable. The beer is only 500 yen for a small glass in the afternoon. The selection is pretty wide ranging so you are sure to get something that you’d like. The only problem is that the menu is in Japanese only, so you had better be good with your Japanese. Some names are in English but it depends more on the company that made the beer. Some companies prefer to have an English name while others prefer Japanese names for their beer. The food at Mile Post was not bad, but it wasn’t extraordinary either. I felt that the food could have been a bit better. I felt that the food was freshly made at the start of the lunch hour but I was there at the end of the lunch service. I got the curry lunch special and while the curry was good, the rice was a little sticky, in a bad way. It started off nicely but started to stick together and feel clumpy. Perhaps they need to improve their cooking technique as the quality of the ingredients looked fresh. The papadum that was included was actually better than the rice and I wish I had more of that. Mile Post has one very annoying feature for their cafe. Unlike most restaurants that I visit, I wasn’t allowed to keep my menu, at least not on the surface. After I ordered, they took the menu away. It isn’t a big problem but when it comes to a cafe like this, I think it is best to keep the menu there. I can understand why they take the menu away, because the menu is just pieces of paper on a clipboard. The paper is easily damaged and if they need it to last for a week or so, they will want to try to keep them for as long as possible. I felt that this was bad as I wanted to know what I was drinking and if I wanted to order something different, I would want to peruse the menu. It is a small thing that should be changed but I don’t see that happening there. It isn’t a bad thing either, just something I don’t agree with. Mile Post Bike and Cafe is a great place to go for a nice sunny afternoon. The view of the Sumida River is great and I would gladly go back again. Unfortunately, due to the location, I doubt I will be going there often. If I lived on the Tozai Line, I would probably go more often. 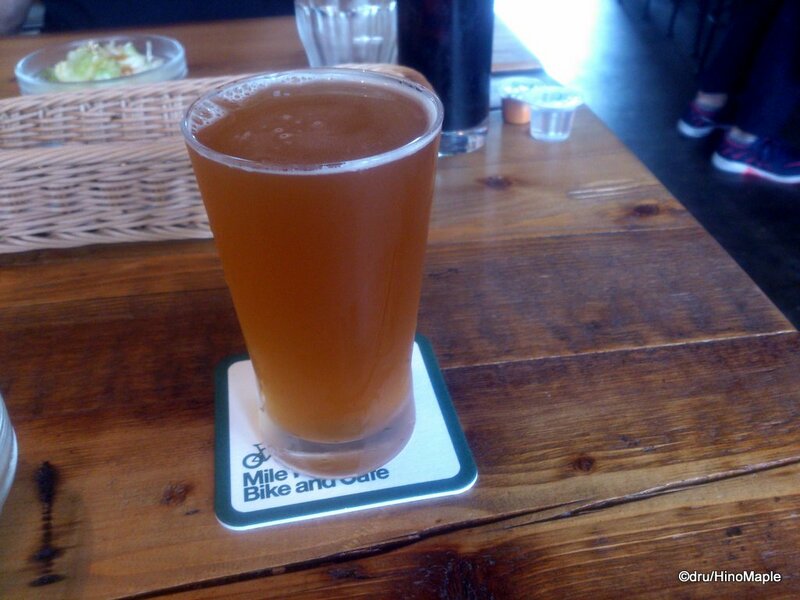 It is just not convenient to go there from my home so I’ll just have to make do with the other beer cafes in Tokyo. 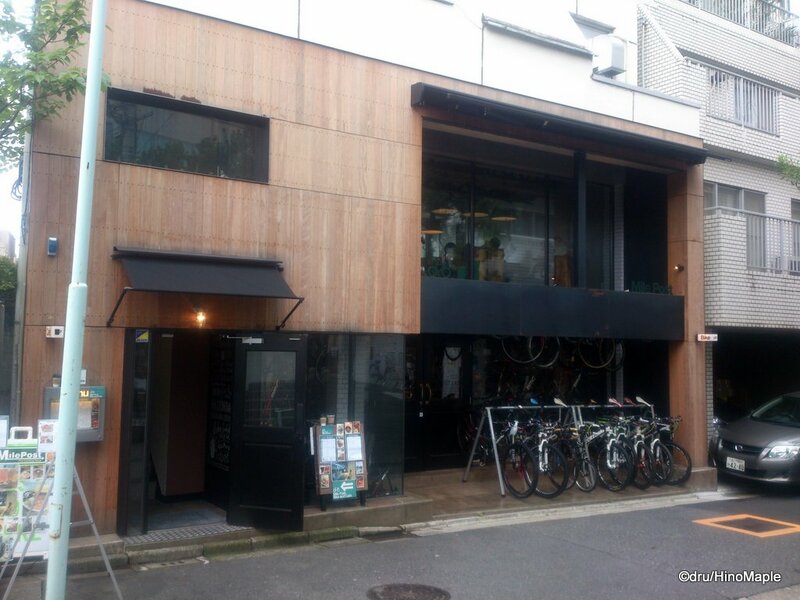 This entry was posted in Tokyo Food and tagged beer, cafe, craft beer, food, japan, Kayabacho, Mile Post Bike, Mile Post Bike and Cafe, Mile Post Cafe, Monzennakacho, Sumida River, tokyo, Tozai Line by Dru. Bookmark the permalink. I used to go to Kayabacho quite often but never really got to know the area near the river. Is it behind the Tokyo Stock Exchange? Looks like it has a pretty good view of the river. That area isn’t really behind the TSE. 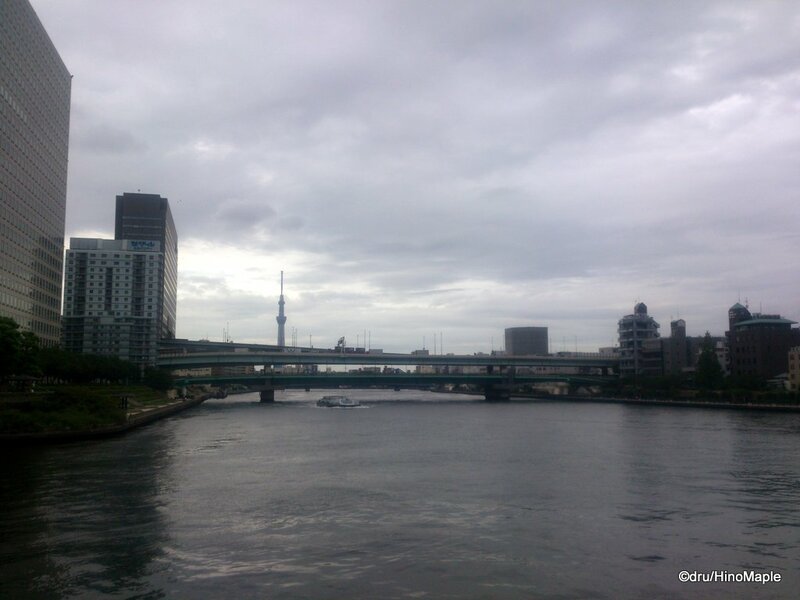 It is down the Nihonbashi River, at the mouth of the Nihonbashi River at the Sumida River. In fact, the view is of the Sumida River.